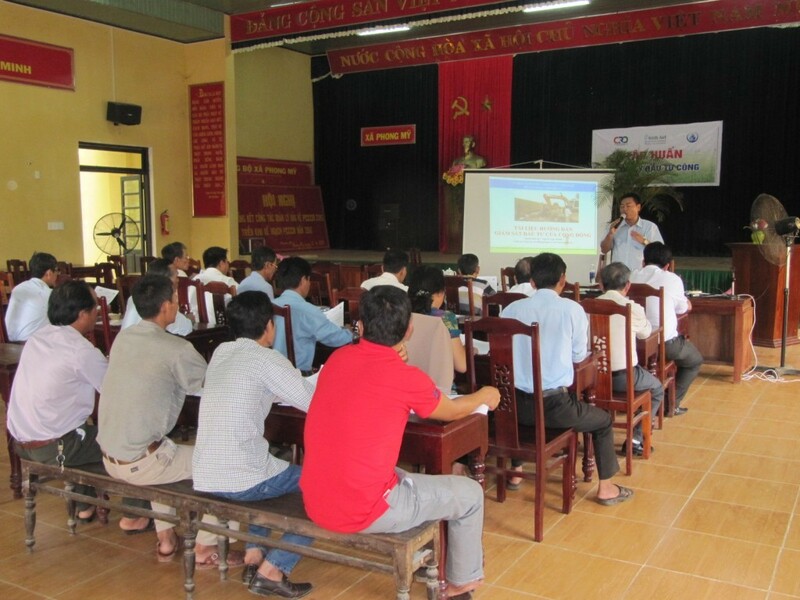 Recently, the Center for Rural Development in Central Vietnam (CRD) and Department of Planning and Investment (DPI) of Thua Thien Hue Province jointly held 02 training courses on “Management of public investment” on April 6-7 in Thuong Nhat Commune (Nam Dong District) and on April 13-14 in Phong My Commune (Phong Dien District). 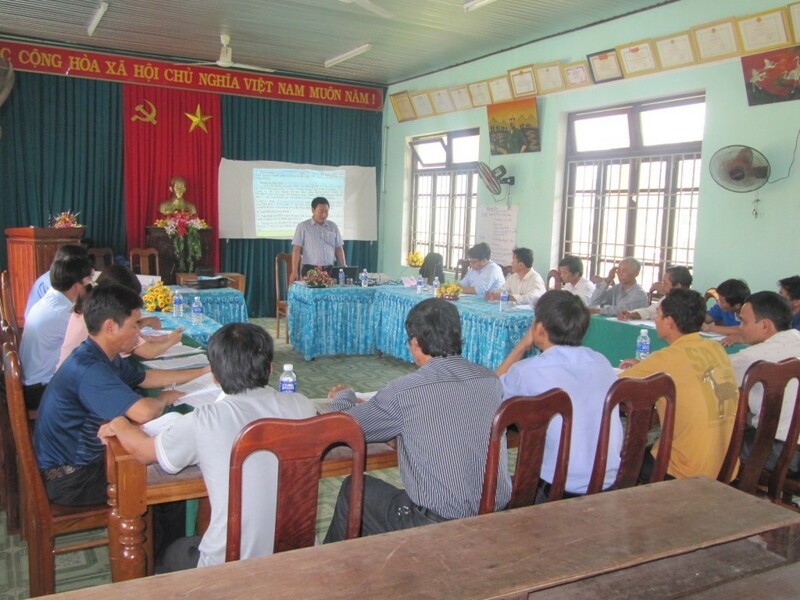 The two training courses attracted 43 participants from district agencies, namely: Division of Natural Resources and Environment, Division of Agriculture and Rural Development as well as village heads/deputy, Village Party Cell Secretaries, and leaders of Thuong Nhat and Phong My communes. Thanks to the learner-centered approach, the trainings created a positive atmosphere and helped the participants acquire the knowledge faster. Most of the participants appreciated and were satisfied with what they had gained after the courses. Discussion results and experience from the process of community monitoring over the last 02 years at the 02 communes were also shared, which were considered precious lessons for practical application. The trainings were within the framework of the project: “Enhancing the effectiveness of New Rural Development Program in Thua Thien Hue Province” funded by Irish Aid.